In India’s southern state of Karnataka lies the town of Badami, an ancient capital of the Chalukya Dynasty. Pulakeshin I was the leader of the Chalukya Dynasty when Badami was constructed; evidence of this was found in an inscription dated 535 A.D (Reddy 58). Badami is famous for its five cave temples carved into the rock, dating as far back as the 6th century. 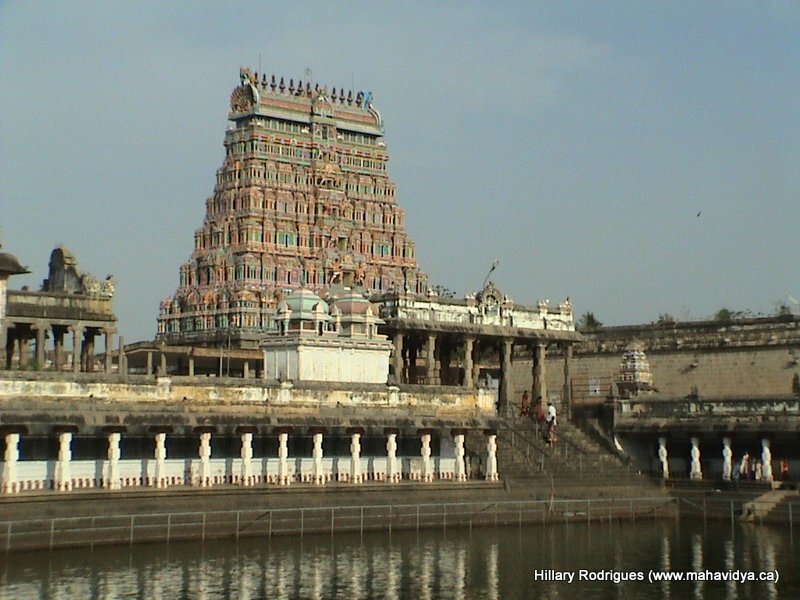 The five temples and their ornate carvings stand frozen in time, making them an excellent example of early Dravidian (southern) temple architecture. Chalukya rule spanned from the 6th to the 12th century. Over this period it is likely that different religious views came into play and this can be seen in the changing temple architecture. 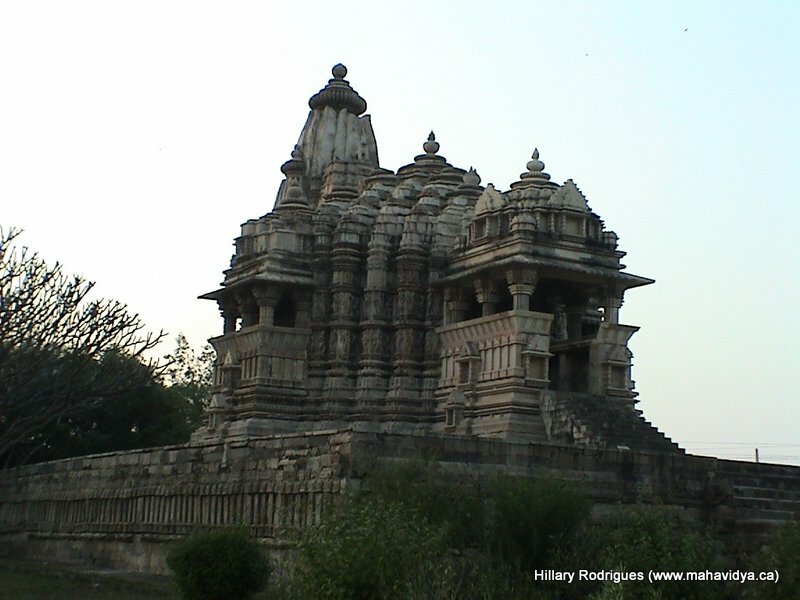 The earliest temple motifs are Hindu and later Jain and Buddhist carvings can be seen. These changing religious themes show a degree of tolerance for new ideas and this allowed the region to display a syncretic nature. To the west of Badami is the Malprabha River that brings life to the city. In the center of the cave complex is Agastya Lake and surrounding the complex is a ravine. The red sandstone structure of the temples contrasts beautifully with the lake and surrounding greenery, creating a truly spectacular scene that rivals any of the great archaeological discoveries. Badami has been recognised as a UNESCO world heritage site (Cohn 3). As you walk through the town you can see a long set of steps carved into the rock that leads to Temple I, close in proximity to the village. Dwarves of Siva (gana) are placed on each side of the steps and serve as guards of the temple and are commonly found in most of the Badami temples. Temple I has a focus on Siva, the God of the Yogis, and the destroyer of the universe. Henotheism is displayed in the temples, where there are multiple gods and goddesses worshipped but one is raised above the rest. A carving of Siva with multiple arms is found in Temple I, which is the most notable of the motifs in the temple. Siva is depicted as dancing and in Hinduism dances are very spiritual and are often dedicated to gods. Some sources indicate that Siva can be worshipped as the God of Dance and use the Dancing Siva at Badami as evidence (Koostria 6). Siva is dancing the tandava, a fierce dance he performs before he is to destroy the world (Russell 9). To the right of the Siva, there is a smaller carving of Ganesa, who is regarded as his son. Dance and the connection to the divine has always been an important theme in Hindu culture, elevating the significance of the carving in understanding early religious practice of the region. Also, within the temple stands a chapel which is supported by two pillars and on the back wall is a depiction of Mahishasura in a battle with a buffalo demon. Decorating the base of the chapel are more dwarves. To the left of Siva is a carving of a bull, which is named Nandi and is regarded as sacred (Mandala 125). On another wall in Temple I, there is a Kartikeya riding a peacock. Kartikeya is the Hindu God of war (Tyomkin 84). Temple II is dedicated to Visnu, one of the gods responsible for maintaining the order of the universe. Temple II is rectangular in shape and at its entrance are four pillars and below are multiple carvings of the guardian dwarves as seen on the entrance to temple one. Temples I and II are very similar in styles and carving technique, leading scholars to believe they were constructed around the same time (6th century). An interesting carving within the temple is Varaha, the boar, who is an incarnation of Visnu and in his hand is the Goddess Bhudevi. Bhudevi metaphorically represents the earth in this depiction and Visnu is saving her. Traces of frescos that are no longer intact have been found on the side walls of the temple (Reddy 60). On the roof of the temple is a panel made up of a wheel of fish and svastikas. Multiple stories of Krsna and Visnu are also found carved throughout the temple on the roof. The rafters are adorned with elephants and lions. Temple III is the grandest temple at Badami and one of the most unique and intriguing Brahmanical temples in India. An inscription was left behind in this temple by the Chalukya King Mangalisa, the son of Pulakeshin I. This inscription allowed for the temple to be accurately dated. As you enter there are beautifully carved symmetrical pillars that line a long aisle. At the end of the aisle there is a large carving of Visnu and similar to Temple II, this temple is primarily devoted to Visnu. Visnu is depicted as having four arms sitting on the cosmic serpent Ananta, which means without end. Visnu is seated cross-legged with his eyes closed and in his two raised hands, Visnu holds a discus (cakra) and a conch shell (sankha). These objects are commonly found in depictions of Visnu (Burgess 408). Visnu is wearing three necklaces and a belt made out of gems. Temple III features a veranda, which is a common feature among a few of the temples. Walking through the veranda and into the temple you encounter a carving of a man and women covered in foliage, most likely depicting a scene from the Kama Sastras. On the roof of the temple there are carvings of Agni, Brahma, Varuna and Deva seated on a ram. On a back wall of the temple there is a large carving of Narasinha, son of Siva (Burgess 411). Temple number IV is dedicated to Jainism. While the first three temples are Brahmanical, Temple IV was the last to be constructed and displays the religious tolerance of the Chalukya dynasty. Temple IV is the highest of the four and is located east of Temple III. 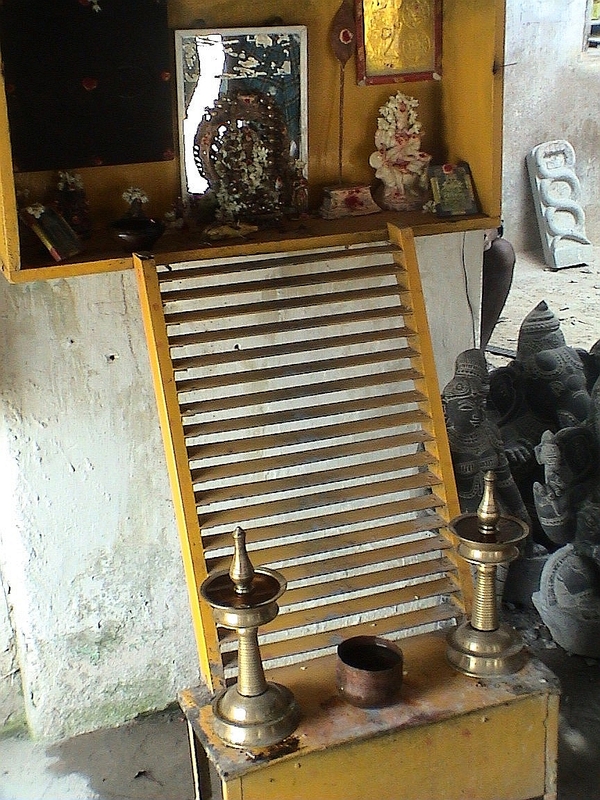 Similar to other temples, you enter the temple from a set of steps leading to a veranda propped up by pillars. Temple IV features a carving of Mahavira sitting in a meditative position on a throne. Mahavira is a spiritual teacher who teaches students about Dharma. Accompanying Mahavira are two smaller figures holding fans (chauri) (Burgess 491). Adjacent to the row of pillars is a tall carving of The Tirthankara Parshvanatha, the first Jain spiritual leader featuring cobras surrounding his head. Another carving shows Guatama Swami surrounded by four snakes. Temple IV is believed to be constructed in the late 7th century or early 8th CE (Burgess 492). Burgess, James (2013) The Cave Temples of India. Cambridge­­: Cambridge University Press. Russell, Jesse, and Ronald Cohn (2012) Badami Cave Temples. Stoughton WI: Books On Demand. Tartakov, Gary Michael. “The Beginning of Dravidian Temple Architecture in Stone.” Artibus Asiae, Vol. 42, No. 1. (1980), pp. 39-99. Chavda, Jagdish (2011) The Badami Cave Temples Supporting Cultural Differences. Orlando: University of Central Florida. Koostria, Orser, Emma Jayne and Prithvi Chandra (2014): The connection between dance and the divine. Sackville: Bharata Natyam­­­. Subramuniyaswami, Satguru Sivaya (2003) Dancing with Siva: Hinduism’s contemporary catechism. Delhi: Himalayan Academy Publications. Reddy, VV Subba (2009) Temples of South India. New Delhi: Gyan Publishing House. Article written by: Sam Adams (March 2016) who is solely responsible for its content. The Kailasanatha Temple is a Saivite Temple located near Maharastra in western India. It is grouped in a family of structures referred to as the Ellora Cave Temples and is one of dozens of Hindu, Buddhist, and Jain temples among the structures. The Kailasanatha is generally regarded to have been excavated in the mid-8th century during the Rastrakuta Dynasty, inscriptions claim during the rule of Krsnaraja I, who ruled from 757-772 C.E. It is constructed out of a single rock. The claim that it was constructed under a single ruler, or in the short period of fifteen years, seems rather absurd considering the sheer size of the structure. The architecture and sculpture art are not completed with a uniform style, in fact at least ten different styles can be found each belonging to a particular section on the temple (see Goetz 85-87). The caves in the court walls also appear to have been constructed at a later date. Because it is a cave temple though its historical sequence follows from the top, where the surface was when excavation began, to the bottom. For this reason it is believed that Krsnaraja I was the ruler whom it was completed under. [Goetz (1952) delves slightly further into a few other Ellora cave temples that are believed to be constructed around the same time]. Most of the court as well as the lower story of the temple appear have been created under Krsnaraja, the higher levels under the rule of his predecessor Dantidurga (735-756 C.E.). The courts and lower levels also don’t appear to integrate with the older designs; leaving chambers in the upper levels unreachable except by means of ladders (see Goetz 93-94). Though the Court was likely completed early in Krsnaraja’s reign as many sculptures appear to be more similar in style to those constructed during the time of Dantidurga, simply of smaller size. Though the architecture and excavation of the Kailasanatha are staggering in and of themselves they are outshone by far by the incredible artwork, sculptures, and statues all about temple. Much of the artwork supports similar themes to several of the Puranas, this is due to the fact that these texts would have been written close to the same era as the temple was constructed. [for more on the Puranas and their relation to the artwork, and specific texts check Heston 1981-1982]. Though Kailasanatha contains undeniable evidence toward the conclusion that it is a temple of Siva, at least a few of its designers did not see issue with frequently interspersing sculptures and art of many other deities, especially Visnu. There are both Vaisnavite and Saivite subjects scattered liberally about the temple structure (see Hawley 80-82). There are also many depictions of the Dikpalas, naga, and River Goddesses, though they never appear quite as important as the sculptures of Siva, Visnu, and Brahma, usually appearing smaller and or made to look as if standing further back (see Heston 220-221). The south wall portrays a radically adverse side of Hindu tales. The sculptures all reveal tales of a deity’s heroic victory over a demon in battle. One is of Visnu in incarnated as a boar, the story of which is told in the Puranas of this incarnation saving the earth goddess from the primordial ocean. Another depicts the dwarf Vamana (another form of Visnu) defeating the demon Bali and claiming the universe for the gods. Some of the carvings are damaged and others still depict demons being killed or defeated. One of these however reveals the connection between the northern and southern walls. The specific carving is one of Siva thrusting his trident into a demon, upon his impalement the demon sees past the illusion and lies of the material world and achieves true knowledge. The demon in the tale is a metaphor for that illusion, the story clearly stating that only through Siva, among other deities, and proper ritual will one achieve that knowledge (see Heston 223-225). This is another section of the temple where the sculptures place emphasis not only of Siva but also depict stories of Visnu and Brahma in tales of seeking knowledge, on the north wall, and in triumph of asura, on the south. Among the images carved closer to the actual entrance of the gopura only depictions of the Dikpalas, or Gods of the Eight Directions, appear. It is commonplace to see these deities given a protector status, especially among temple entrances and other important religious locales. Four images lie on either side of the portal; unfortunately three are damaged, and of those two are completely unrecognizable. However, because in this era and in this setting it was popular to depict all eight deities together in this role it is assumed that the two damaged sculptures are the remaining Dikpala. On the north side of the entry presides sculptures of Agni (fire god), Vayu (wind god), and Varuna (water god), the fourth is one of the destroyed sculptures. Varuna in this representation is attributed with a lotus, as opposed to his usual noose. The south side of the doorway consists of sculptures of Indra (sky god), carrying his typical lightning bolt, a damaged panel depicts a bull mount which is the usual vehicle of the deity Yama (death god). Another damaged, unrecognizable panel on this side as well as an image Kartikkeya, who is the son of Siva but is not a deity among the Dikpalas. Though throughout the Puranas Kartikkeya is seen as both as a seeker of knowledge and a sage, as well as a leader of an army of gods, in this he shows himself both as a protector, garnering a place among the Dikpalas, at least thematically. These two roles also aptly blend with the theme already beginning to shine through among the other sculptures (see Heston 226-234). It is impossible to ever tell which of the Dikpala Kartikkeya replaces, due to the two damaged carvings. The temple also contains much smaller vastly intricate and detailed carvings of Hindu epics, The Ramayana, The Mahabharata, and The Krsnacaritra. The walls of the porch of the temple depict these stories in their episodic nature. Many believe these depictions are later additions to the temple for several reasons (see Hawley 77-78); this is believed in part due to the intense amounts of detail that has gone into these carvings as well as the fact that they do not seem to be very well integrated into the general architecture of the temple. Despite this studies have dated the story panels at least around the same time as the rest of the monument. It is interesting to note that regardless of the intricacy with which the many episodes of each story are depicted many arguably important episodes of each tale are either incomplete or just missing (see Markel 59). The Kailasanatha is clearly a marvel of architecture, artistry, and an unfathomable amount of labour. It rests as the center piece and most impressive of the Ellora Caves, an already marvellous network. Its art characterizes a deep understanding of, and willingness to teach Hindu beliefs. It exemplifies the amount of devotion and care one has for something they truly believe in, while at the same time exposing the intelligence and creativity of its designers through their use of symbolism. It is no wonder this place attracts so many visitors, including scholars, pilgrims, and tourists, or why it is considered the unrivalled spectacle among the other cave temples. Heston, Mary Beth (1982-82) “Iconographic Themes of the Gopura of the Kailasanatha Temple at Ellora.” In Artibus Asiae Vol. 43 No.3. Washington D.C.: Artibus Asiae Publishers. Markel, Stephen (2000) “The Ramayana Cycle on the Kailasanatha Temple at Ellora” from Ars Orientalis Vol. 10 Supplement 1. Ann Arbor: Freer Gallery of Art, The Smithsonian Institution and Department of the History of Art, University of Michigan. Goetz, H. (1952 “The Kailasa of Ellora and the Chronology of Rastrakuta Art” from Artibus Asiae Vol. 15 No. 1/2. Washington D.C.: Artibus Asiae Publishers. Hawley, John Stratton (1981) “Scenes from the Childhood of Krsna on the Kailasanatha Temple, Ellora” from Archives of Asian Art Vol. 34. Honolulu: University of Hawaii Press. Kramsrisch, Stella (1981) The Presence of Siva . New Jersey: Princeton University Press. Article written by: TJ Riggins (March 2010) who is solely responsible for its content.